A web site must be well designed, versatile and continuously growing based on your organization needs, that also includes maintaining the site material fresh. Any site that utilizes a content management system (CMS) is often modified by company users and administrators with no need for a engineer or any html knowledge. 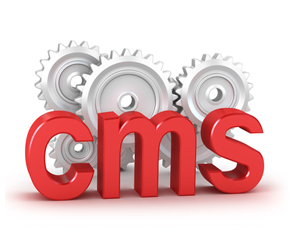 A content management system (CMS) means your site content could be easily managed. This enables you to achieve a content rich web site which provides more traffic and improved results to suit your needs. What is more, your site can be managed by existing staff members, decreasing recurring maintenance expenses. At AHB IT Solutions we use web based content managements system (CMS) that is flixible, dynamic and easily maintained, so you don't learn new programs to maintain your website. Even though every piece of information will be thoroughly built to help it become straight forward to manage, you will not find yourself without any help. There will be times where you will need support options in order to talk to someone to make sure you are on the correct path or need further assistance. We are going to be around every step of the way to provide a simple yet effective Content Management System intended for the specific needs of your organization.